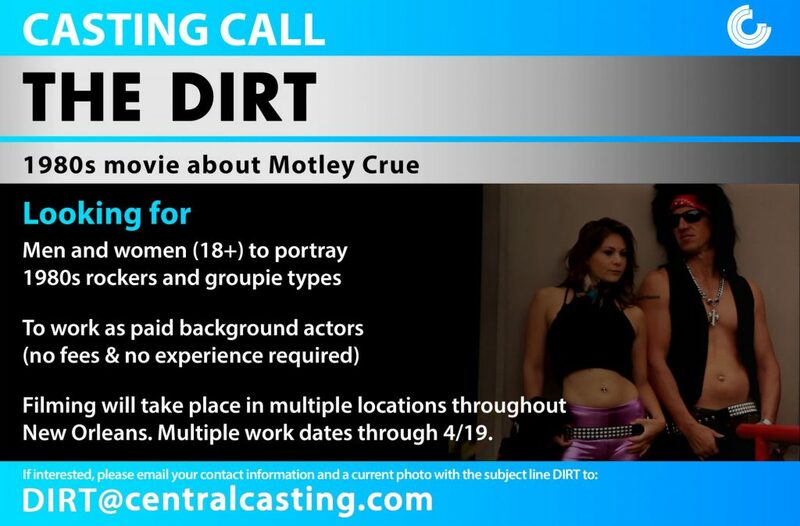 The Motley Crue movie is now casting extras and is on the hunt for people which can pull off an ’80’s “Big Hair” look in LA. Biopics have become quite popular as movie material in recent years and on this one, the 80’s hair band, that may have helped “hair bands” become a thing back then, is getting a movie. 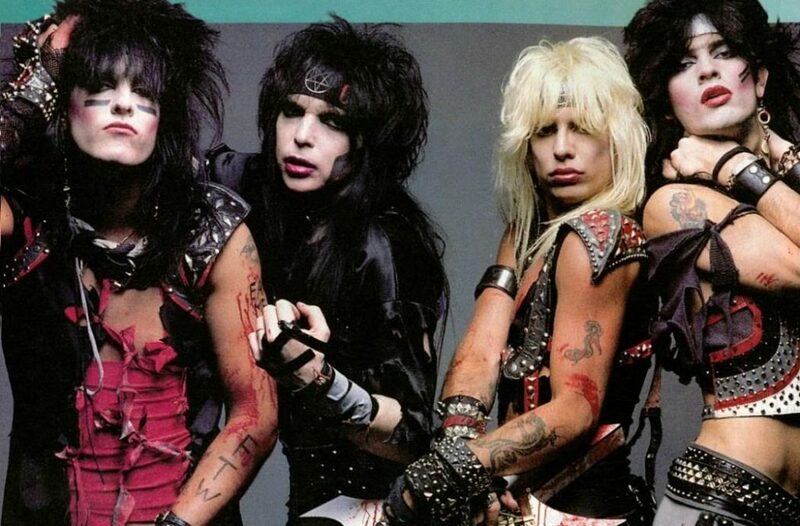 That’s right, Mötley Crüe, the band that actually called themselves “the world’s most notorious rock band” will be coming to the screen by way of Netflix. Mötley Crüe published their memoir “The Dirt” some 17 years ago and that memoir is now being made into a film. The Dirt, was published back in 2001 and gave readers a glimpse into the off-stage life of the band, their exploits, rock-n-roll lifestyles and the craziness which propelled them to the rock star, iconic class. There have been whispers about this project for sometime, but it is happening, right now. The film is in production this spring in the New Orleans area and casting calls are out for locals who would love to work as paid background actors. Machine Gun Kelly (Colson Baker) is set to star as Motley Crue drummer Tommy Lee. Douglas Booth landed the role of Nikki Sixx, Booth has done a Biopic before. He played Culture Club frontman Boy George in a BBC movie called “Worried About the Boy.” Daniel Webber will appear as Vince Neil and Iwan Rheon rounds out the band as Mick Mars. Also, Tony Cavalero has been tapped to play Ozzy Osbourne. Jeff Tremaine is set to direct the project from a script written by Rich Wilkes and Tom Kapinos. 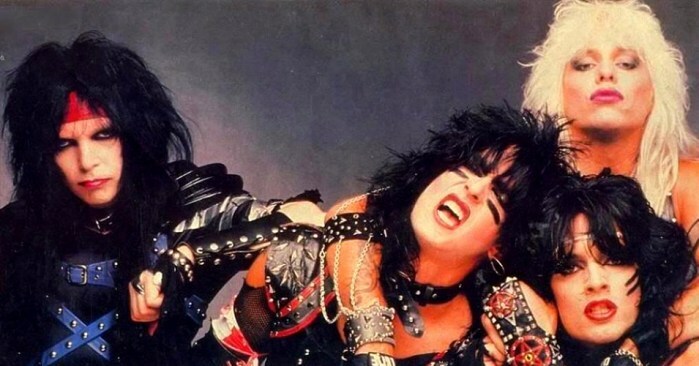 Members of the original Motley Crue are also being named as co-producers on the film. According to a story appearing in Variety, The Dirt is based on the 2001 autobiography “The Dirt: Confessions of the World’s Most Notorious Rock Band,” the movie follows the group’s rise during the ’80s “hair band” rock scene on the Sunset Strip and pulls no punches as it dives into the band’s highs and lows along the way. Motley Crue played its final concert on New Year’s Eve in 2015 at the Staples Center in Los Angeles. GET PAID TO BE IN A Netflix FEATURE FILM! Looking for men & women over the age of 18 who appear to be 20’s-50’s who have NEVER worked on this show before! This is one of your last chances to be a part of this project! Men must be clean shaven, long hair is a plus! Men max waist 3. Women- no modern hair cuts or colors, dress size 0-8. NO VISIBLE TATTOOS. Must have all day availability for filming on Wed 4/18- no time restrictions! To submit, send name, phone number, sizes & current photos to dirt@centralcasting.com and put “Wednesday” in the subject line. FEATURED ROLES – NOW CASTING EXTRAS IN NEW ORLEANS! “LITTLE PEOPLE” – We are looking for male Little People to portray security guards. Maximum height of 4’9. All ethnicities welcome! Please send the aforementioned information to DIRT@centralcasting.com with the “Security17” in the subject line. Do you need any crew members for this event? Would Love to Play ” Hot Girl”, the 80’s rock especially Motley Crew are the Best Song to get done too. Looking forward to being in this movie.